Adapted from ancient Sanskrit texts, the stories in Beauty, Power & Grace represent one of the most fundamental aspects of Hinduism the innumerable manifestations of divinity. Among these, the portrayal of the Goddess is perhaps the most alluring. She appears as a devoted wife, a master of the arts, a terrifying demon slayer, a scornful critic, and a doting mother, to name a few of her forms. In Vedic tradition, these depictions of the Goddess reflect the belief that male and female are simply different expressions of one supreme, absolute truth. 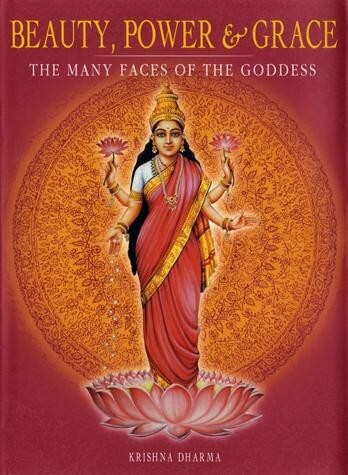 These profound stories are brought together in an exquisitely illustrated collection that reveals the various manifestations of the Goddess, ranging from the iconic to the obscure: Mother Yashoda peers into her infant s mouth and is astonished to catch a glimpse of the entire universe; Ganga Devi, now synonymous with the sacred river, rides upon a great crocodile and purifies those whom she encounters; and Kali, adorned with a garland of skulls, drinks the blood of her victims on the battlefield. A definitive celebration of Goddess imagery, symbolism, and lore, Beauty, Power & Grace displays the fascinating intersection between colour, form, and meaning at the heart of Hindu tradition.